Boon Rawd Brewery, Thailand’s first brewery, was founded in 1933 by Phraya Bhirom Bhakdi (Boonrawd Sreshthaputra). For over 80 years, the privately owned company has become a renowned beer and beverage producer, managed by 3rd and 4th generations of the descendants of the founder together with professionals from different fields. At present, the company produces products under the numerous brand names namely Singha, Leo, B-ing, Purra, Sanvo, Syder Bay, Boonrawd Farm, Pundee and Masita trademarks. The company has expanded and diversified its business interests into manufacturing, packaging, agriculture, real estate, food and restaurants, as well as retail fashions and life style, which comprises of over 50 affiliated companies. 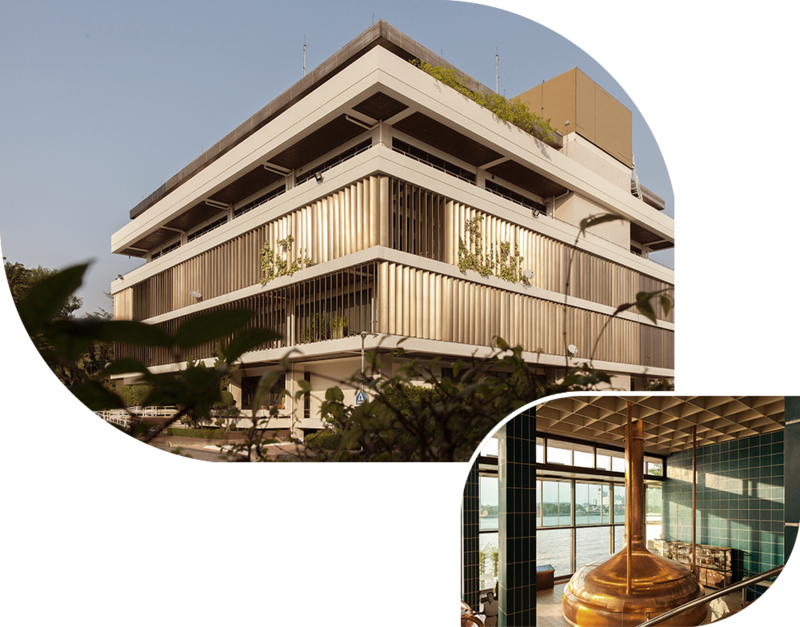 As an integral part of the Thai society, Boon Rawd Brewery is proud of its reputation as a good corporate neighbour. The company actively participates in local environmental support programs, offers scholarship to those attending Thailand’s 25 colleges and universities, as well as provides educational opportunities for the children of the company’s employees. Furthermore, the company also provides medical assistance and disaster relief under the Phraya Bhirombhakdi Foundation. The Royal Garuda that appears on every bottle of Singha products is a Thai Royal Warrant, the highest honor in Thailand awarded to businesses and organisations, was granted to Boon Rawd Brewery on October 25th, 1939, for its exceptional service and commitment to the economic and social development of the Thai Kingdom. Today, the Boon Rawd group of companies continues to produce products of the highest quality, and continues to give back to society in many different ways, continuing the legacy of the founder, Phraya Bhirom Bhakdi. © 2018 Boonrawd Brewery All Rights Reserved.